Warsaw, boasting over 60 percent (almost 4mln sq m) of all the office space in Poland (approx 6mln sq m), is unlikely ever to be knocked off the top spot, but Krakow’s office market (over 500,000 sq m) is growing dynamically and attracting attention from all over the world. Back in 2003, the number of modern office buildings of any size or quality in Krakow could be counted on the fingers of one hand. The Euromarket building on Rondo Ofiar Katynia with a total leasable area of 16,000 sq m, the first Centrum Biurowe Lubicz building in the city centre (of the same size), and Buma Square (eventually to cover almost 30,000 sq m) on ul. Wadowicka were then the vanguard of a fledgling market. 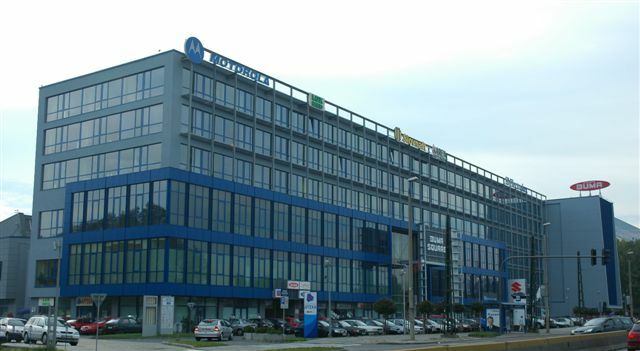 As well as a few large, multinational companies, such as Philip Morris, Shell and BP, which were interested in basing Polish or European operations in Krakow and the influx and expansion of international consulting and auditing companies, the city also began to attract companies such as Cap Gemini and IBM, who were instrumental in putting Krakow on the map with regard to Business Process Outsourcing (BPO). It was this growth in demand for office space from outsourcing tenants that pushed the market another step forward, encouraging foreign development and investment companies to become interested in what was then a small regional office market. The Israeli developer, GTC, was quick to see the potential and swiftly developed a trio of office buildings on Armii Krajowej and Centrum Biurowe Kazimierz next to its Galeria Kazimierz shopping centre, while local Krakow developer, BUMA, moved ahead with both its Rondo and Onyx projects. Construction stepped up too at the Krakow Business Park in Zabierzów near Balice Airport as the concept of an ‘out-of-town office park’ took off, and there was also expansion of the office segment eastward into the Czyżyny special economic zone. The Krakow market was just getting into its stride between 2005 and 2007 as the economic crisis loomed. The effects of the financial crisis in the wake of the Lehman collapse were so profound that, even though Krakow was undeniably a low-cost location for business, large companies became fearful of incurring the costs of moving staff to here in the short-term, despite the obvious long-term benefits. Hence, absorption of office space slowed to a crawl during 2009, with some developers offering opening rental rates below 10 EUR per sq m (rental levels are currently back to a reasonable 14 EUR). It must have felt like an eternity for office developers and investors but, at last, after a relatively short period of over-supply, Krakow’s market bounced back fairly quickly and this time at a greater pace and with greater volume than ever before. Global names such as State Street, UBS, Cisco, Alexander Mann and Brown Brothers Harriman continue to enter the Krakow market and expand as tenants, while international investors from Ireland (Avestus), Hungary (Tri-Granit), Sweden (Skanska) and Holland (East-West), as well as local Krakow developers such as BUMA, have driven ahead with projects of umpteen thousand square metres each over the last three years. In fact, thing have grown and progressed to the extent that Krakow is now rated as one of the top 10 worldwide locations for outsourcing. 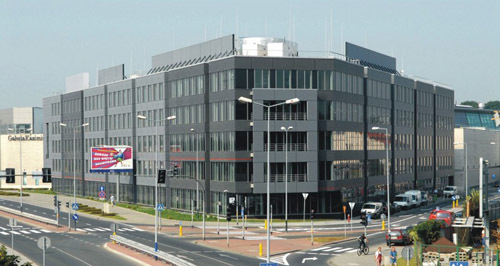 International investors such as Spanish fund Azora have recently purchased the Avatar building from Echo Investment and Green Office from BUMA, and graduates all over Europe are consciously moving to here for job opportunities. In short, Krakow’s office market is a world away from its humble beginnings in the late 1990s and has a bright future. good article: Cisco, Google, Sabre, Motorola and others have created already created 1000s of higher valued added jobs as well. Someone with deep pockets should build space for 10-15,000 FTEs near the airport in Liszki. Cracow is still one of the best places in Europe to live and hire people (despite the air, traffic, some aspects of adminstration, and the (lack of) an aquaduct. SSCs and BPOs are going to come in waves, like it or not. and the start up community is going to have some big global hits in the next 12-18 months. The challenge in Krakow is that the local government has limited plan supporting development of large office parks and integrating them with public transportation. Most of the business office parks are well accessible by car, however not by trams. On the other hand, the city center still has a large unused space that could be developed to host modern office buildings (Aleja Powstania Warszawskiego between rondo grzegorzeckie and mogilskie), Pawia street, Rakowicka Street, area along the Wisla Riwer between Galeria Kazimierz and Zablocie. There is hardly any office development activity there and considering their locations and well developed public transport, those areas would be ideal for the development of large office complex that would then attract tenants from among international corporations coming to Krakow. I cannot see much support from local government to convert these ares into new office parks and develop further Krakow’s city center. Agreed also re: office in the city centre… There will at last be some more office development in those very areas you mention: Szkieletor should at last be re-developed now there is zoning (next to Rondo Mogilskie) which will have a large portion of office surely as part of its make-up. 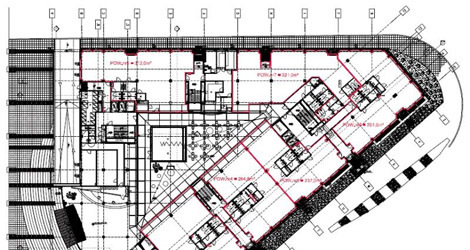 Skanska are also close to starting with an office complex of circa 25,000 sq m GLA on ul. Przy Rondzie (next to Chopin Hotel) and Buma should also start with project of umpteen thousand sq m GLA close to Rondo Grzegorzeckie (where Ruch building will shortly be demolished). ECE are looking for potential purchasers of the large plots on ul. Pawia (north of Galeria Krakowska and behind Hotel Ibis Centrum) which should add close to another 100,000 sq m in itself.